August 12, 2013 July 7, 2014 Joanna V.
So if you’ll recall, a couple of weeks ago I made a batch of cupcakes and then froze (almost) all of them to see how well they’d hold up in long-term storage, as such. 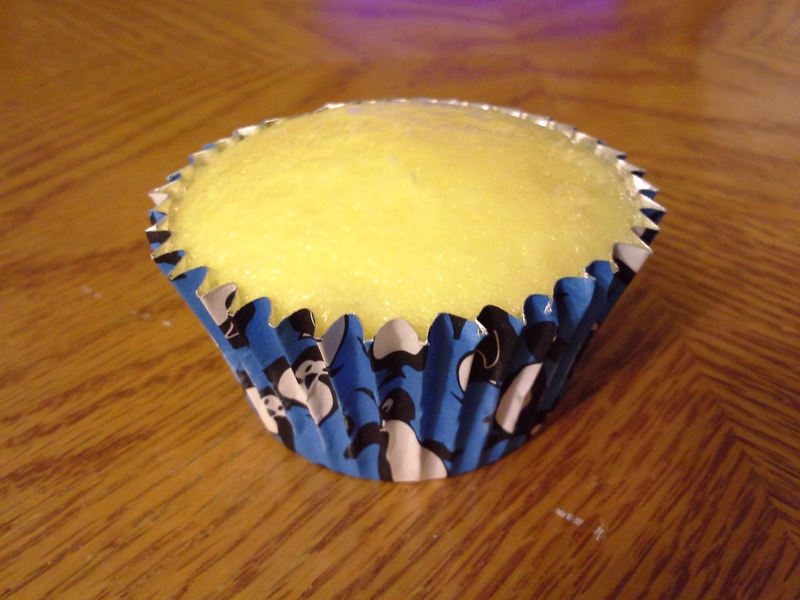 I remember our frozen wedding cake being extremely edible (though all of the frosting shlumped off like a wet towel… which didn’t make it taste bad, so still a win in my book) and I decided to test out individual cupcakes. My recipe for just six is nice, but I can’t (or shouldn’t) eat all six in one sitting, so it’d be nice if I found an effective way to make a dozen and then have them for weeks without them going bad. Over the last couple of weeks, I have occasionally had a cupcake. There are four left, and I intend to save them another week or so, but I thought I’d share my preliminary findings, for what they are worth to you, gentle reader, in your own quest for CUPCAKE. 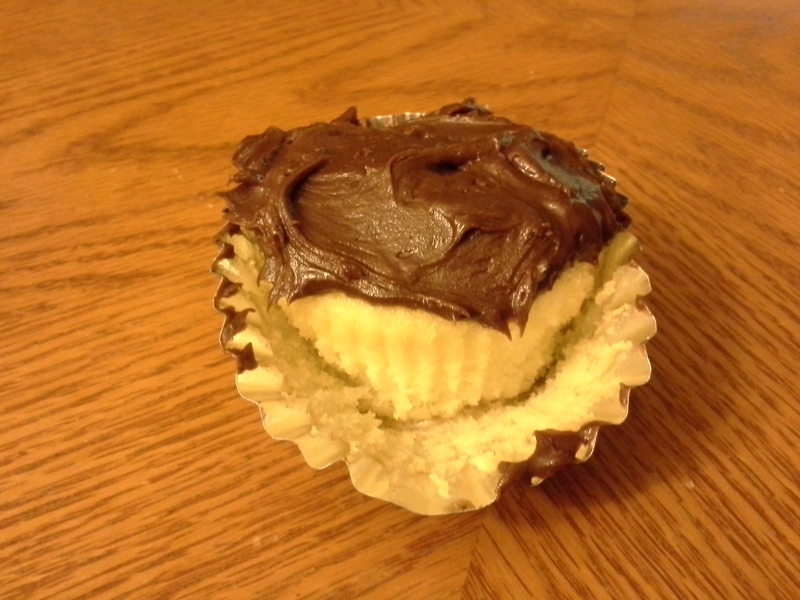 Now, I am aware that these aren’t the very best photos of cupcakes EVER, but that’s because I peeled the wrapper partway off before I remembered to photograph it. That’s why they look a little lopsided. I assure you that they came out of the freezer in perfect, unfrosted condition. WAIT. I still have FOUR in the freezer! There you go. That’s what they look like when they come out of the freezer. I take one out as I sit down to dinner, along with the cup of frosting I’ve got in the fridge, and let it come to room temperature. 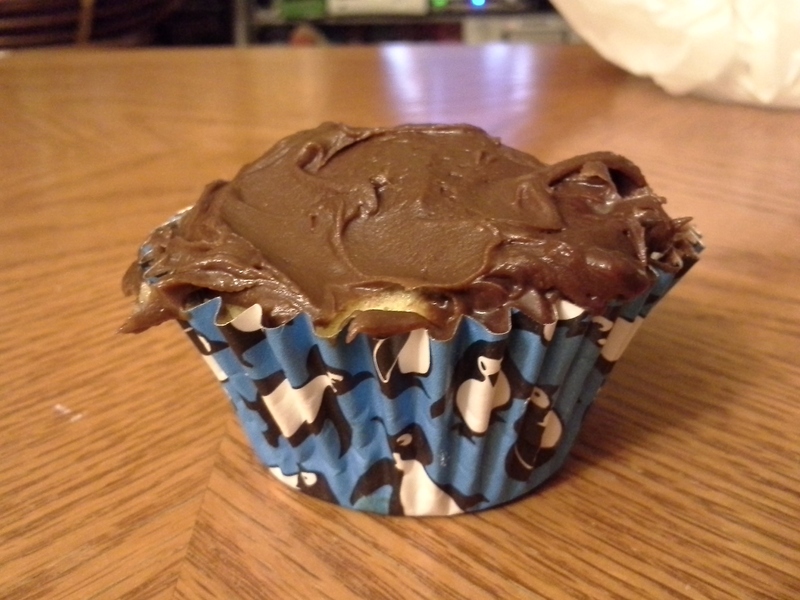 Then I put “fresh” frosting on the cupcake and voilà! 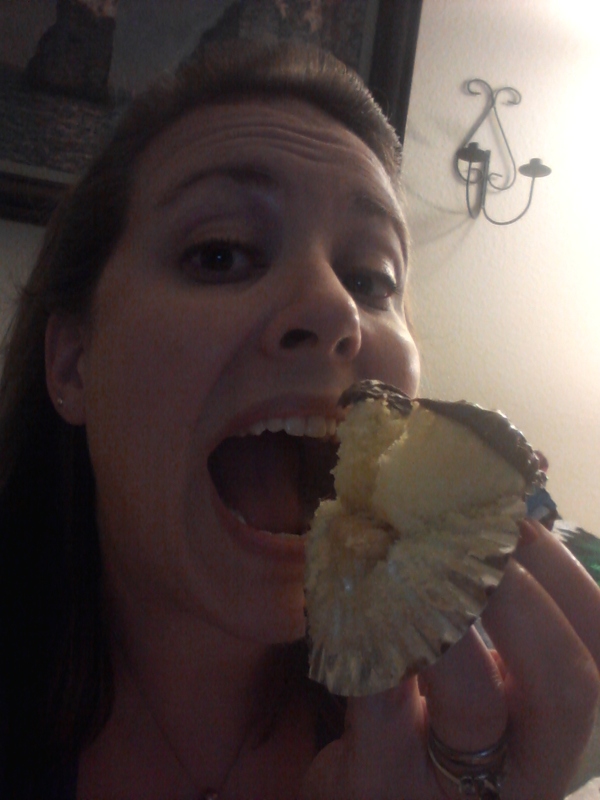 It’s a very successful way to have a cupcake handy when I really need one. Sometimes you just need a cupcake, y’know? Next postTuesday Zoosday! This baby okapi is pretty much adorable.